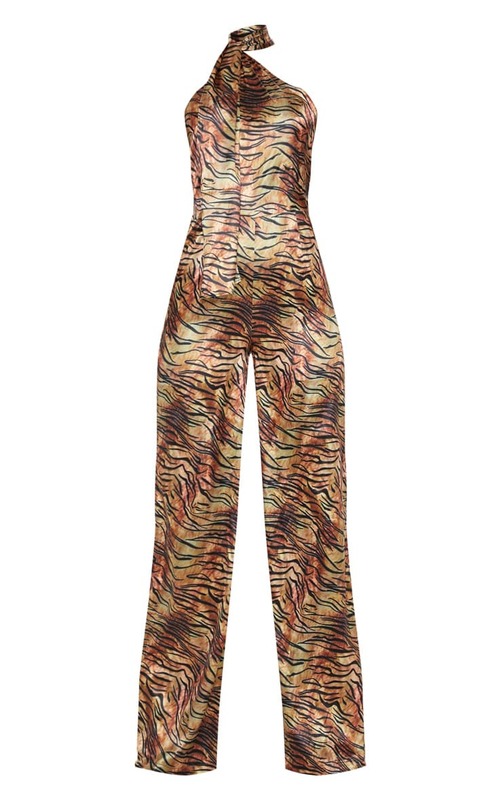 We are loving animal prints right now doll and this jumpsuit is a serious wardrobe staple. Featuring a tan tiger print with a wrap neck style, wide leg fit and open back, what's not to love? Team with barely there heels and a simple clutch for a look we're loving.